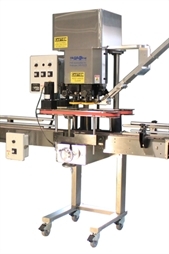 The TO1000 Torquer is a compact and portable version of the PSR Automation Inc torquing system. This system is well suited for moderately sized runs, as a re-torquer, or whenever an economical torquing solution is needed. 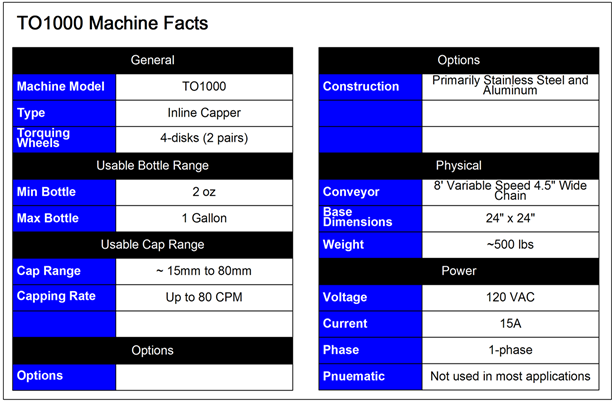 Quick change features give the TO1000 the ability to easily handle a wide variety of bottle and cap sizes.